The physical exam is an important diagnostic tool when used in an evidence-based fashion. Students begin to learn this skill in the preclinical years, however, they solidify their approach in the clinical years where interactions with patients bring the exam to life. Yet, it is in this same clinical environment that the value of these skills is often forgotten in favor of lab tests and imaging. Due to limited time on rounds, the perception of few significantly abnormal findings, and varying preceptor confidence, the physical exam can easily fall by the wayside. Since much of physical exam education occurs informally, it is essential to optimize this teaching opportunity. 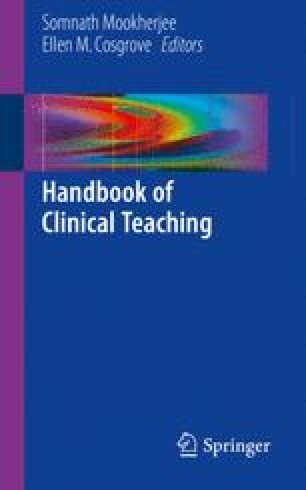 The “SHORT” technique is an efficient method of teaching the physical exam that fits within a busy schedule and creates high-yield learning points for learners. It is applicable to both single sessions (such as a single preceptorship encounter) as well as ongoing longitudinal teaching contexts (such as a medical student clerkship). Mookherjee S. Center for Leadership and Innovation in Medical Education, Educator Developer Modules. Web module: teaching the physical exam in SHORT encounters. https://canvas.uw.edu/courses/999776/pages/teaching-the-physical-exam-in-short-encounters.